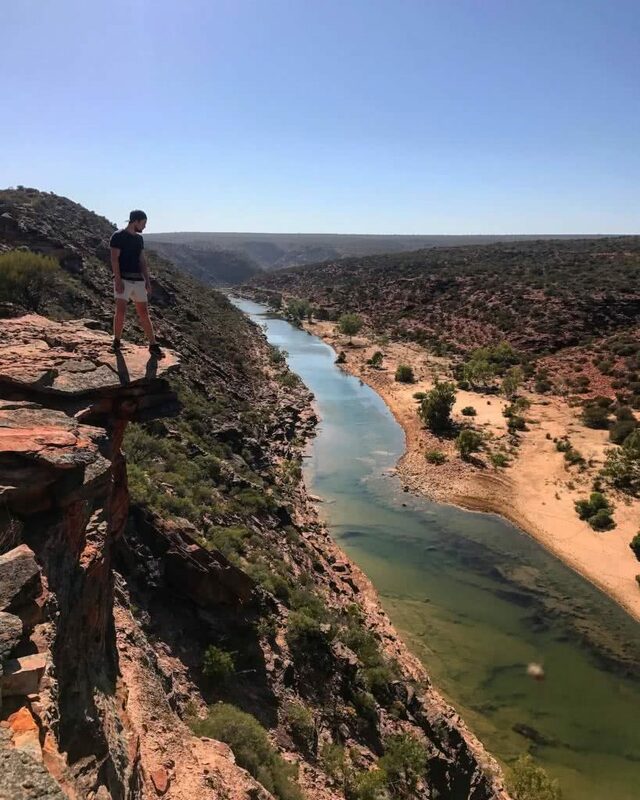 Located between Shark Bay & Geraldton in WA, the dry Kalbarri National Park feels miles away from the ocean, yet it’s namesake seaside town lies only a few minutes drive west. 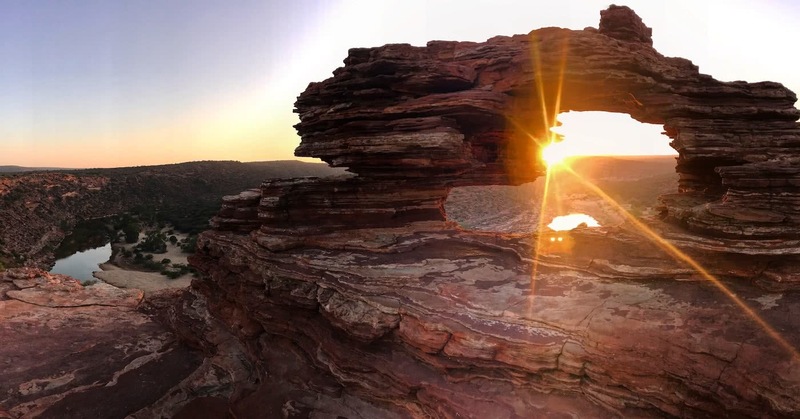 The main attraction here is Nature’s Window, a natural formation in the rock that frames the river perfectly inside it when viewed from the right angle. It does get extremely busy here with tourists as the day wears on, however we were lucky to be the sole adventurers when we arose before dawn & jogged a brief track down to the window. 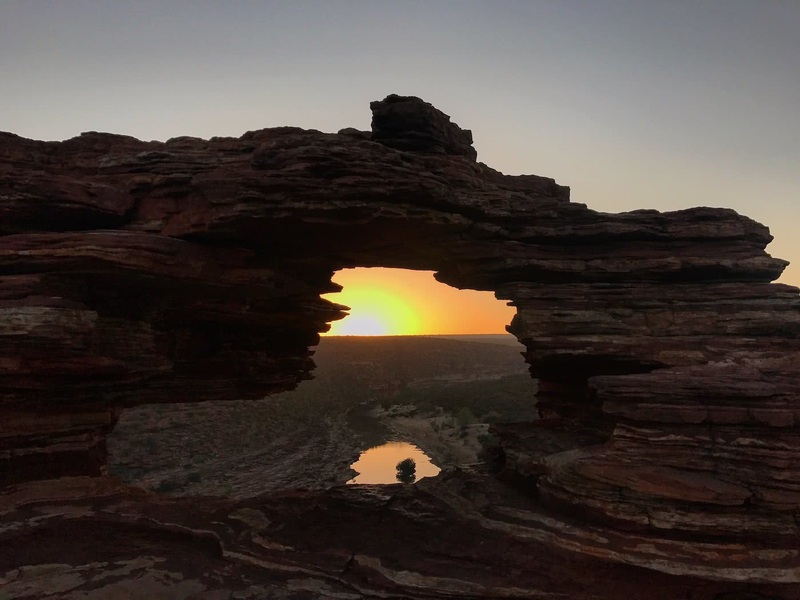 The sun rose slowly from 5:40am and the hole in the rock indeed created a beautiful viewing window. Dull orange turned vibrant before the blinding yellow finally persevered over the night’s dark resistance. We stopped to take a few snaps before setting off to start the loop trail. Once you get to the marker post further down from Nature’s Window, you have a choice of either going left or right, the former offering a steep scramble down to the sandy river bed below, the latter a fairly even-graded cliff walk above the gorge, offering spectacular views first up. 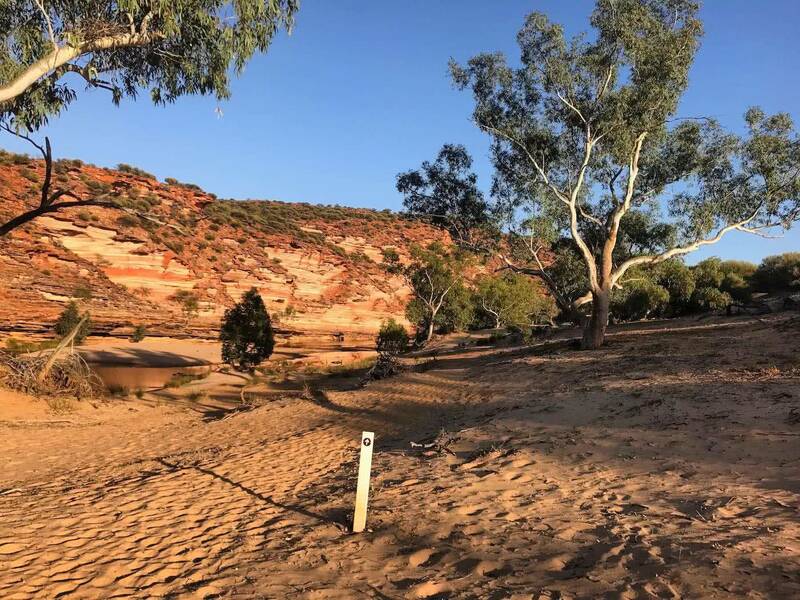 We chose the steep scramble down & set off along the sandy path alongside the river, immediately spotting a kangaroo and joey returning to the bush after an early morning drink. The path stays quite sandy and slightly strenuous on the legs for a little while before becoming rocky right next to the river. It’s challenging to follow at times with markers becoming few and far between and situated on different elevations in parts. You will arrive back to a sandy bank before heading right and beginning your ascent up to the cliff walk. The walk up isn’t too difficult and we were thankful we decided to do the steep descent first. After a few kilometres of cliff walking you will finally come to the end of the loop and back to Nature’s Window. 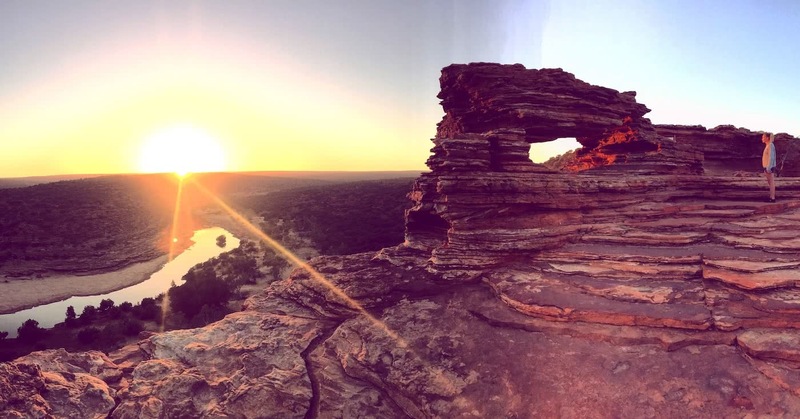 The sunrise was unforgettable and the loop trail offered an awesome early morning hike to get the blood pumping for the rest of the park’s sights and trails.